Magnesium is a very important mineral. 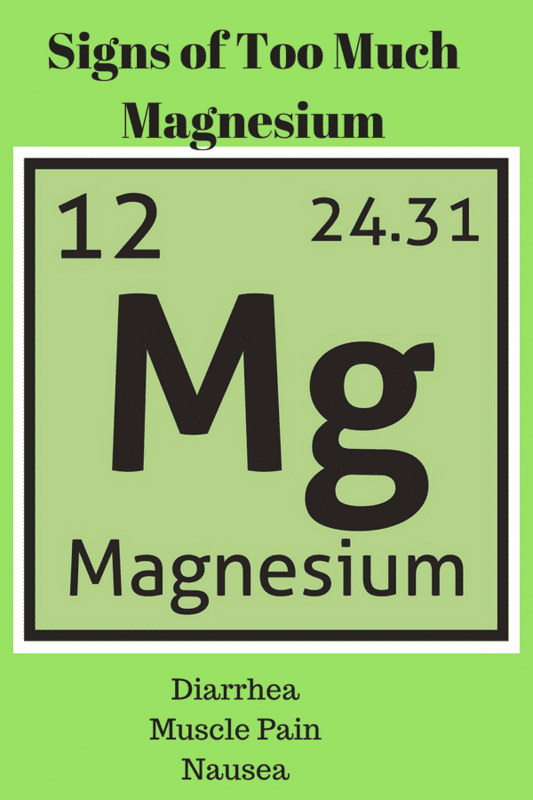 The average American is deficient in magnesium. Magnesium supplements are very effective. However, rarely can someone have a magnesium overdose. There are several reasons why someone might have a magnesium overdose. Too much magnesium is called hypermagnesemia. Symptoms of too much magnesium are diarrhea and joint pain. It is hard to get an overdose of magnesium from food because the kidneys will excrete the excess amounts of magnesium. The most obvious symptom of too magnesium overdose is diarrhea. Diarrhea occurs because when there is unabsorbed magnesium in the intestines, the magnesium attracts water. When excess water gets into the colon, diarrhea results. Nausea and vomiting happen because the body is desperately trying to get rid of the toxic mineral. Muscle weakness occurs because low magnesium and high magnesium causes muscle weakness because the muscles are unable to polarize/repolarize adequately. Lethargy this is caused by the shift of magnesium in the cells. Low blood pressure is caused by the overly dilated vessels from magnesium. Urine retention occurs because the kidneys need normal levels of magnesium to function, and the bladder is a muscle. Death can occur because the heart needs a certain amount of electrolytes. When there is an imbalance of electrolytes in the bloodstream, the heart’s electrical system can go haywire. Every individual is different. There really is no way of clarifying what dose is right for everyone. Since the most common sign of overdose is diarrhea people should take magnesium to stool tolerance. 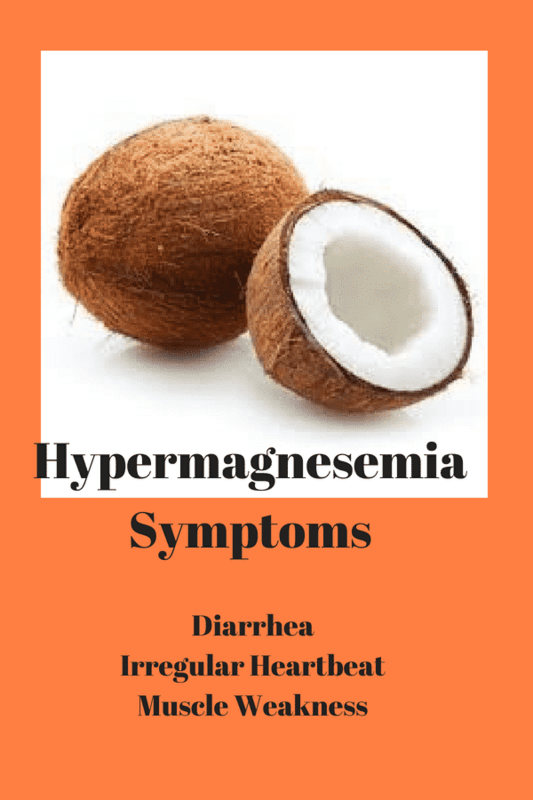 The most common magnesium that causes diarrhea is magnesium citrate and magnesium hydroxide. Both of these magnesium forms are popular laxatives. Studies have been done on magnesium toxicity, and it is a rare phenomenon. Large doses of 5000 mg a day have been reported to cause toxicity. The average magnesium pill is 250-500mg. Therefore, you can see how hard it is to overdose on magnesium. It is recommended that you start with 250mg twice a day and then increase the dosage until you get diarrhea. If someone has too much magnesium that is interfering with their major body systems, it is considered an emergency. Often time, doctors will prescribe calcium. In extreme cases, the person will have to go on dialysis. To avoid getting hypermagnesemia, individuals should drink plenty of water and remain active. Avoid laxatives that contain magnesium such as milk of magnesia or magnesium of citrate laxatives. Avoid alcohol and caffeine. As a nurse, I have rarely seen symptoms of too much magnesium in a patient. 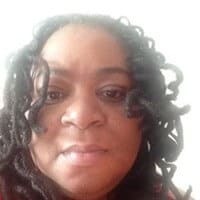 I have been a nurse for close to 30 years. In fact, 99% of the time we see people with magnesium deficiency. However, it is important to look for symptoms of high magnesium if you take magnesium supplements. Maguire ME, Cowan JA. Magnesium chemistry and biochemistry. Biometals. 2002;15:203–210. Wacker W. Magnesium and Man. Cambridge, MA: Havard University Press; 1980. pp. 1–184. Elin RJ. Magnesium metabolism in health and disease. Dis Mon. 1988;34:161–218. Swaminathan R. Magnesium metabolism and its disorders. Clin Biochem Rev. 2003;24:47–66.